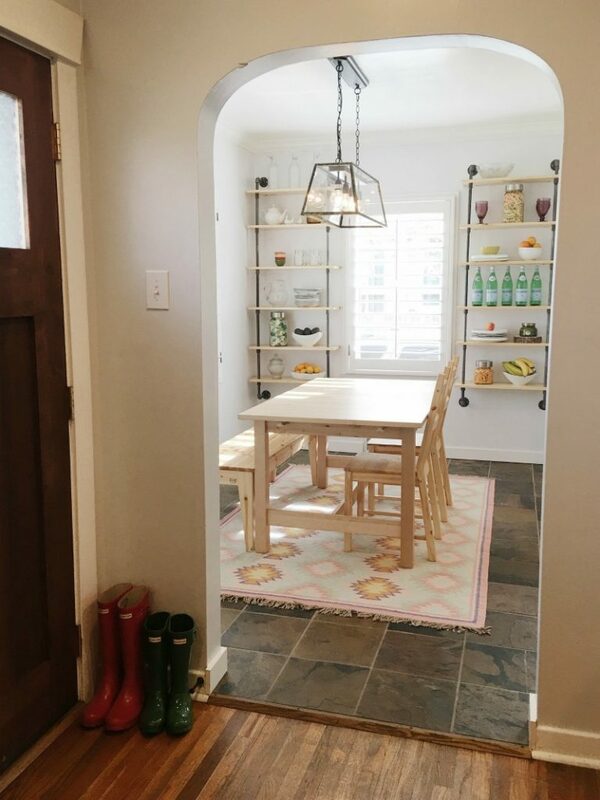 A look into our dining room with Lulu & Georgia! The decorating, painting, planning, and remodeling has begun and we can’t get enough of it. I think I am in TURBO mood because I want to nest as well. Just give me all the PROJECTS! For me, a room starts and ends with the RUG. It’s my favorite way to add creative character to a room. It can make or break a space and it can be such a headache trying to find the right one for your space. 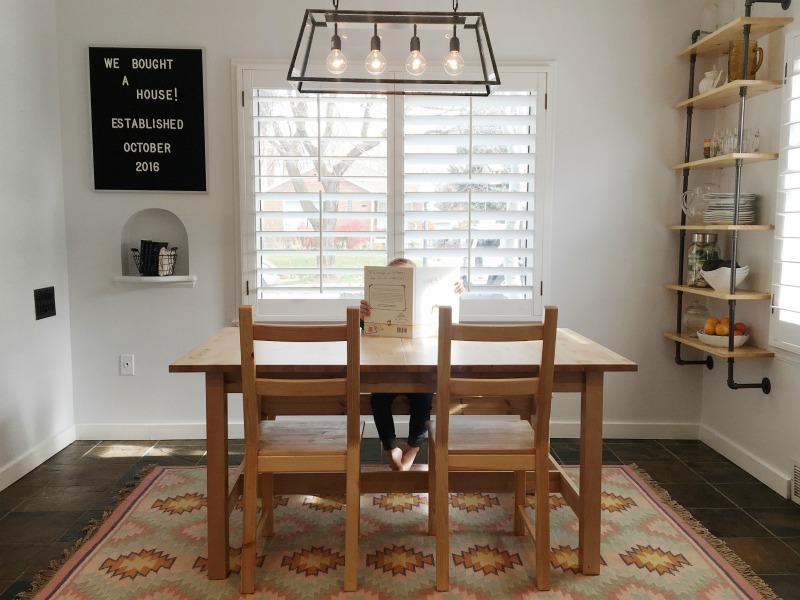 My favorite place to find rugs for any room and style has got to be Lulu & Georgia. They have incredible variety and impeccable quality. 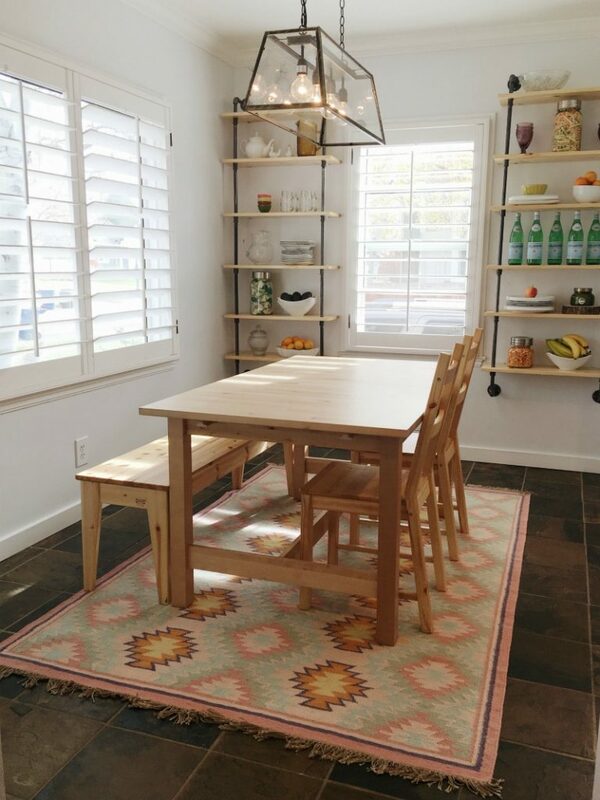 Most people chose the rug based on the space, and although I think that is super important, I LOVE choosing the rug simply because I love the rug. Plain and simple. And with this rug pictured above, that’s EXACTLY what I did. 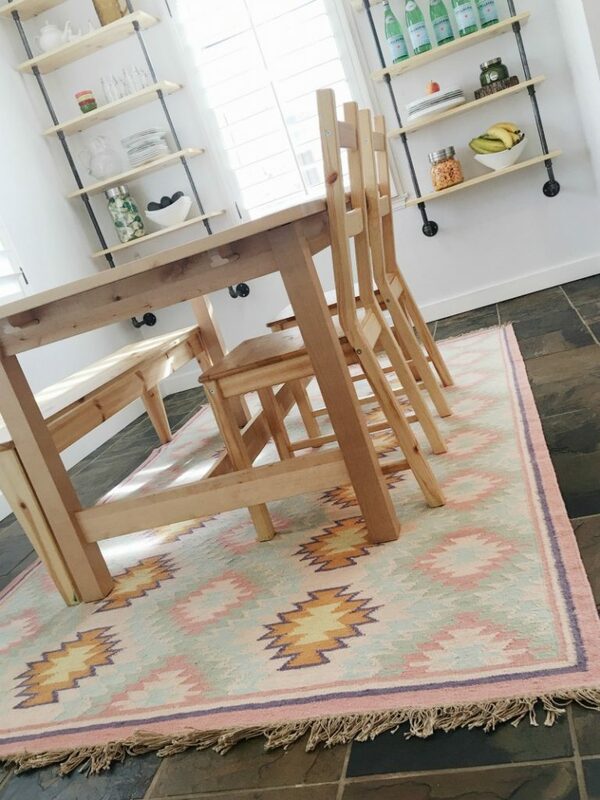 The PAINTED DESERT RUG from Lulu & Georgia adds just enough color and design to my floor while not being too overwhelming. 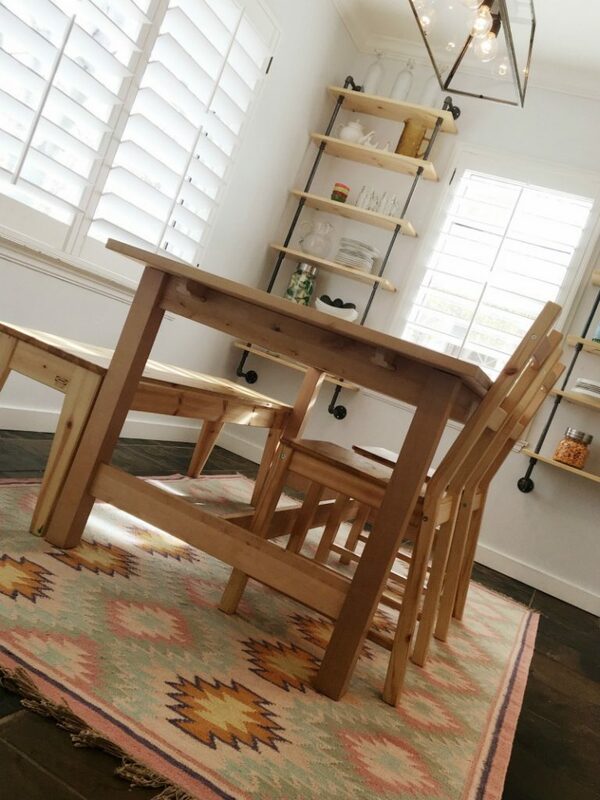 I love how it compliments the light wood color of our table and shelving unit too. 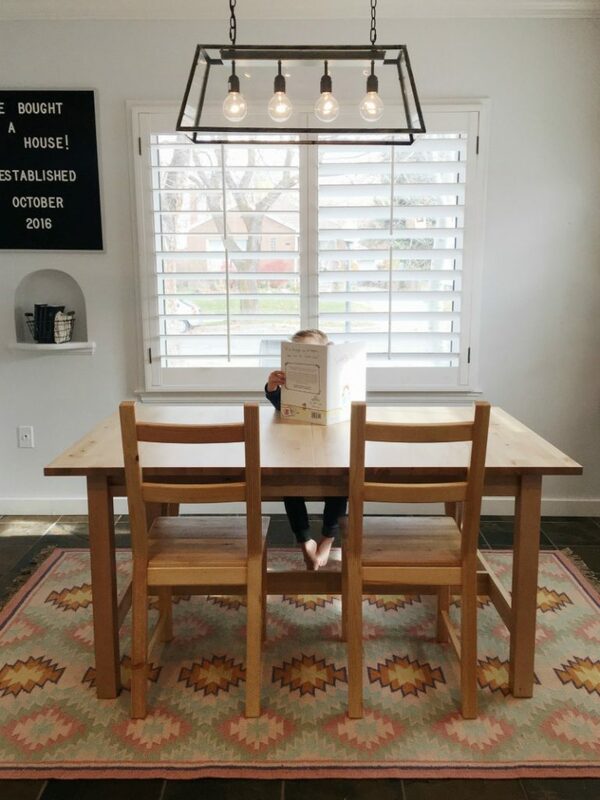 It’s just the beginning to our little dining room overhaul AND the design carries perfectly into our family room…BUT I can’t show you that QUITE yet! OH, and PS, a FULL tutorial for those industrial shelves will be on the blog soon. Stay up to date with all the latest!